Aggressive new styling for your R8. 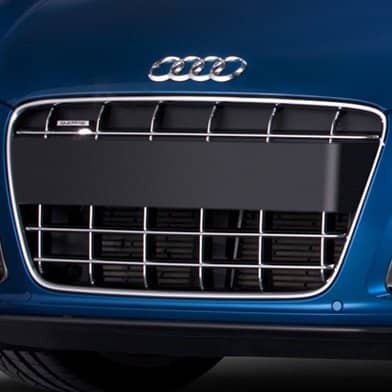 Grille features a chrome surround with black grille augmented with chrome trims on crossbars. Available with US plate holder as well as plate a smooth plate delete.